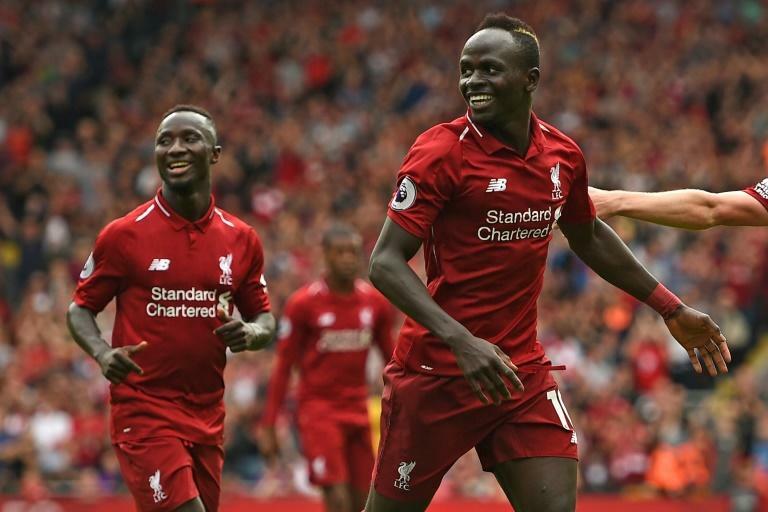 Liverpool head into the international break on top of the table as Sadio Mane inspired their hard-fought win at Leicester, while Chelsea's Marcos Alonso has made a fine start to the season for Maurizio Sarri's team. The stunning form of Mohamed Salah left Sadio Mane in the shade when praise was dished out for Liverpool's run to the Champions League final and the top four last season. However, with Salah struggling to match those standards early on in his second season, Mane is showing why he was considered the man Liverpool couldn't cope without early in Jurgen Klopp's reign. A 2-1 win at Leicester on Saturday ensured Klopp's men still haven't dropped a point and Mane has been the key figure with four goals in as many games. Liverpool were once again not at their free-flowing best with Salah subbed 20 minutes from time, but Mane's goals have kept their bid for a first league title since 1990 intact while the Egyptian gets back up to speed. Chelsea sit alongside Liverpool with a perfect record despite new boss Maurizio Sarri's fears it would take time to impose a very different style to his predecessor Antonio Conte. A move to a back four should in theory have curbed Marcos Alonso's rampaging runs forward from left-back, but instead the Spaniard has been Chelsea's most potent offensive weapon so far this season. 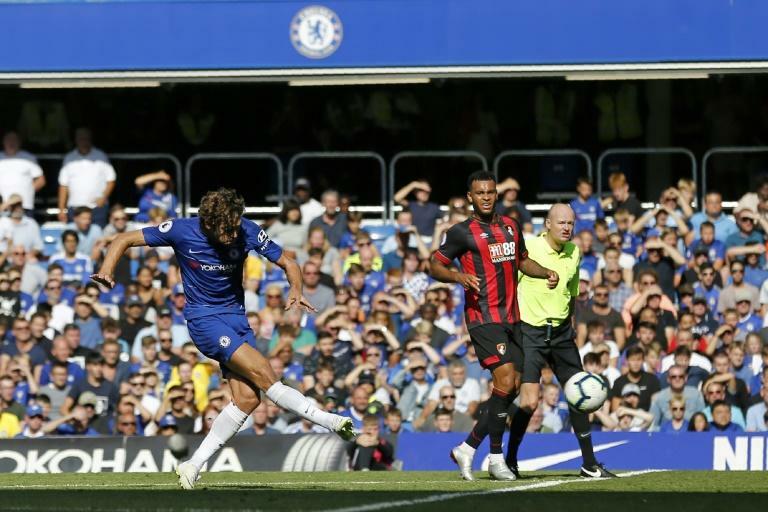 Alonso scored the winner in a 3-2 thrillier against Arsenal, won penalties in victories at Huddersfield and Newcastle and now has two assists to his name after playing a part in both goals in a 2-0 win over Bournemouth on Saturday. "Alonso, at the moment, this position at left-back is maybe the best in Europe," said an impressed Sarri. With the vultures circling over Old Trafford, Jose Mourinho was given a welcome boost by Romelu Lukaku as Manchester United ended their two-game losing streak with a 2-0 win at Burnley. United boss Mourinho was reportedly in danger of losing his job if his spluttering side crashed to a third successive defeat. 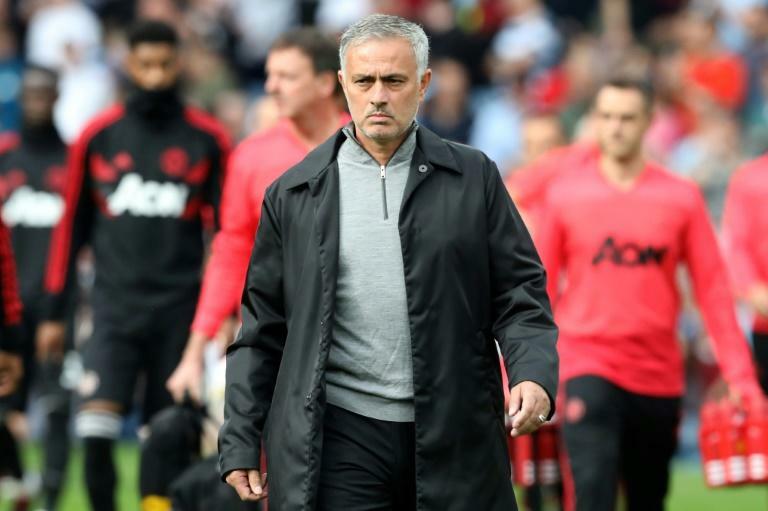 Already off to their worst start for 26 years amid Mourinho's feud with United executive vice-chairman Ed Woodward, over transfer policy, and star midfielder Paul Pogba, over a perceived lack of effort, this was a must-win game for the Portuguese coach. Lukaku's double was just reward for a solid United performance despite Marcus Rashford's red card for a headbutt. With Cardiff boss Neil Warnock vowing to get his players to "rough up" Arsenal's Aaron Ramsey, Unai Emery's side knew they were in for a fight in south Wales. Warnock's aggressive team were as promised, producing a no-holds-barred display in front of a passionate crowd at the Cardiff City Stadium. Twice Cardiff came from behind to draw level in the kind of difficult match that often ended in disaster for Arsenal in the latter stages of the Arsene Wenger era. But, on this occasion at least, the Gunners showed some backbone, winning 3-2 thanks to Alexandre Lacazette's late goal. It was their first away win of the season and offered encouragement that Emery is capable of fixing Arsenal's numerous flaws. Aleksandar Mitrovic sits alongside Mane as the Premier League's top scorer after netting for the fourth time in three games for Fulham in a 2-2 draw at Brighton. The Serbian has now scored more goals on his own than former club Newcastle, who lie in the bottom three after a 2-1 defeat at Manchester City. Much has been made of Magpies owner Mike Ashley's failure to back Rafa Benitez in the transfer market. But Benitez himself has to carry some of the blame for Newcastle's lack of firepower as he was happy to send Mitrovic out on loan to Craven Cottage last season before making that deal permanent for a reported £22 million. Mitrovic had already been worth that fee for Fulham in firing them to promotion with 12 goals in 20 games during his loan spell and his goals are making the Londoners look more likely to remain in the top flight than Newcastle at present.